Shaykha Safia Shahid is a leading scholar exemplifying Islam's rich tradition and history of female scholarship. Born and raised in Glasgow, Shaykha Safia Shahid travelled to Syria in 2003 to study sacred knowledge. She stayed there for five years, studying Arabic at the University of Damascus and the Abu Nour Institute. Shaykha Safia attended the classes of several illustrious scholars of our time, such as Shaykh Adnan Darwish, and received ijaza (license) to teach Tajwid from Shaykh Abul Hassan Al-Kurdi. She also benefited from the company of great men of Allah, such as Shaykh Ahmad al-Habbal and Shaykh Shukri al-Luhafi. 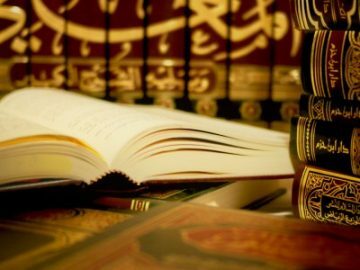 She studied numerous texts under the tutelage of the great erudite scholar, Al-Sayyid Shaykh Muhammad al-Yaqoubi, and was granted ijaza in major books of Hadith. Upon leaving Syria in 2008, Shaykha Safia began teaching online classes, covering subjects such as Tajwid and Aqida. In 2009 she moved to Birmingham, where she served as the Head of Education for women at the Jamatia Islamic Centre in Sparkhill. Her post included overseeing girls’ education in the children’s madrassa and training female teaching staff, as well as teaching Islamic disciplines such as Fiqh, Hadith, Arabic and other classes of the sacred knowledge. In 2012, she delivered ‘The Etiquette of the Believer’ UK Tour, covering twelve towns and cities nationwide. She moved to London in 2013 and began teaching at Hounslow, Harrow and at an Islamic secondary school in Reading. In 2014, she ran a three-day residential Sacred Way Retreat, as well as an ‘Origin, Purpose & Destiny’ UK Tour, covering twelve towns and cities nationwide. In 2015, she completed a Salah ‘Ala al-Nabi national tour, along with an international tour. 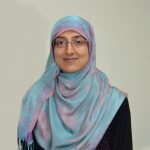 Shaykha Safia has delivered talks and courses at many universities and conferences, with numerous guest appearances on television and radio, both nationally and internationally. She has delivered talks at universities including Oxford, Cambridge, Imperial College, Warwick, Aston, York, Middlesex, Birmingham, Nottingham and many others. To help promote understanding between employees and their Muslim colleagues in the corporate world, Shaykha has delivered presentations on Islam to investment banks in the UK. She also delivered an Islamic talk on ‘Ethical Principles in Business Dealings’ at the Petronas Twin Towers in Malaysia. She has travelled to Australia, Trinidad, Turkey, Sweden, Germany and the Netherlands for talks, conferences and events. In 2015, she was awarded a BISCA Award for Outstanding Contribution to Women’s Empowerment.